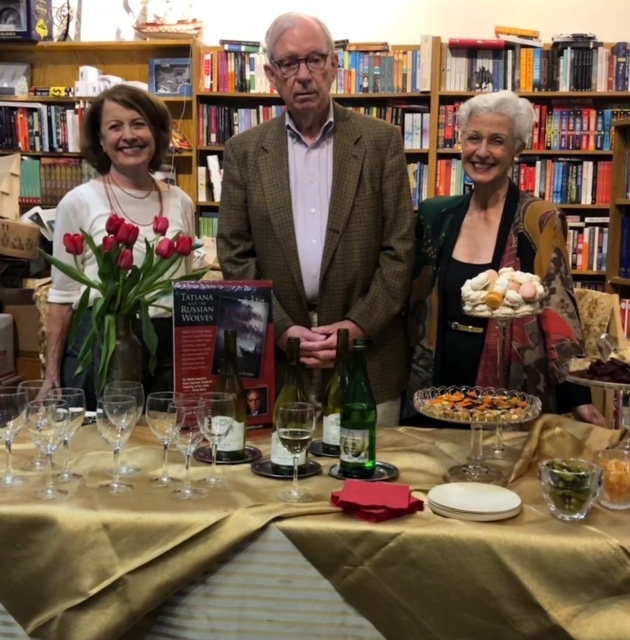 October 5th book signing at the Avid Reader in Davis CA --- complete with mini Russian imperial feast (thank you, Diane and Davisville Travel!). Grateful for wonderful friends helping us celebrate --- including Marci (Stephen's childhood friend from Napa) and Patricia who drove 4.5 hours from Santa Cruz! Special thanks to Michael and Tess at the Avid Reader for making this a special experience.